The Sacrament of Confirmation provides us with a real opportunity to re-evangelize young adults in the Church. But prep for this sacrament isn't about getting ready for the Rite. It's about getting ready for a LIFETIME OF FAITH. Let's treat it that way. One of the exciting resources we offer is for the youngest children in dioceses where Confirmation is offered "in restored order" (meaning before First Communion). These Growing Up Catholic lessons for youngsters offer them a chance to meet the Blessed Mother, Mary, the Holy Spirit, and the community of the Church. This eResource product includes four sessions of immediate preparation for Confirmation in restored order. It is designed to coach parents alongside their children, utilizes effective handouts, explicitly brings the faith home, and helps children and parents enter into deeper relationship with Christ. Do you want to prepare the young Catholics in your parish to embrace a lifetime of faith? Do you want them to be "on fire" with faith? In order for this to become a reality, we must open for them the doorway to Christ, the entry into the dying and rising of the Paschal Mystery. The pathway to such holiness is self-giving love; it is connecting us to Christ and his love for us. Spirit & Life Retreat to the rescue! This retreat kit comes with the outline, handouts, and talking points to help you succeed in kicking off a solid preparation process for the young Catholics in your care. Price includes license to reproduce (or email) within your parish. 15 creative and formative centers for children preparing for this sacrament. Children and their families share church teaching, Scripture, prayers, conversation, and a fun activity reinforcing the teaching. 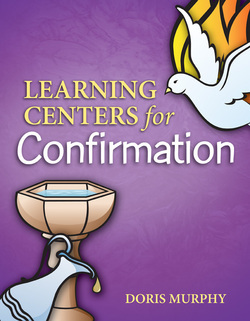 Accommodate a variety of learning styles and offer a unique opportunity for adults and young people to learn about confirmation—together. 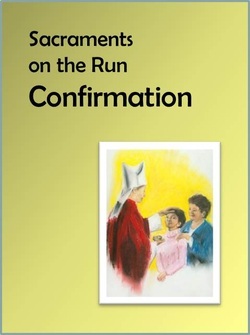 This book gives a concise explanation of the basic Catholic teachings about the Sacrament of Confirmation. It helps the parents of young children understand the sacrament – and it does so with plain English! As it explains the stages of preparation, it also suggests ways parents can make this sacrament the beginning of a lifetime of faith! Every parent in the Church should have this wonderful book as their young adults are going through this period of life. 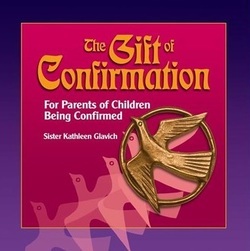 Parents can use this book as a primary resource for learning about the sacrament and teaching their child about confirmation. 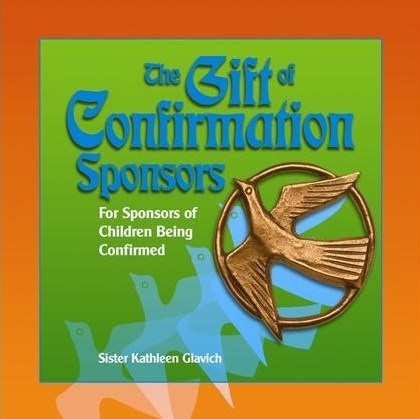 Sponsors accept a large responsibility when they agree to sponsor a young person preparing for confirmation. This informative explanation of the sacrament of confirmation describes the obligations and opportunities that sponsors have to touch the lives of young Catholics. It provides them with suggestions on how to help young adults as they approach their confirmation. This accessible reproducible flyer is a great way to learn about this sacrament. Use it when encouraging parents to register their children, as handouts at sacrament prep sessions, in classes, or even as a take-home item during other meetings. 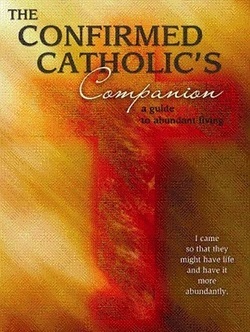 The Confirmed Catholic's Companion is a kind of "how to" manual for newly confirmed Catholics to live out their faith with commitment and discover spiritual practices to adopt as their own. This practical resource offers tips and reflections for deepening one's personal relationship to the Catholic faith, helping Confirmed Catholics connect with personal spiritual practices and devotions that have inspired Catholics for generations. It integrates the use of modern conventions, including Internet websites, to guide Confirmed Catholics through the Bible, lives of saints, and Catholic prayers and rituals. The Confirmed Catholic's Companion helps confirmed Catholics — new and old — live their faith abundantly 24/7. What's God Calling You To? Over 2 billion people on planet Earth call Jesus Christ their Lord and Savior. The Catholic Companion to Jesus is an in-depth exploration of the life, times, and legacy of Jesus of Nazareth. 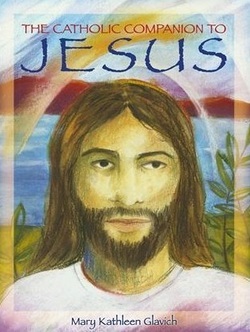 Written in language that is easy to grasp for all readers, but comprehensive enough to be an academic resource, The Catholic Companion to Jesus delves into the prophets who preached of Christ's coming, the biblical and historical record of the life of Jesus, his ministry and miracles, his death and resurrection, the legacy he left to all of humanity, his role in modern life, and the second coming of the Messiah. The Catholic Companion to Jesus is intended to be a catalyst for anyone who wishes to know Jesus better. The best and most effective way to know someone is by personal interaction, and this book offers practical ideas through which readers can open their lives to the one the prophet Isaiah foretold would be called "Emmanuel," which means "God with us."